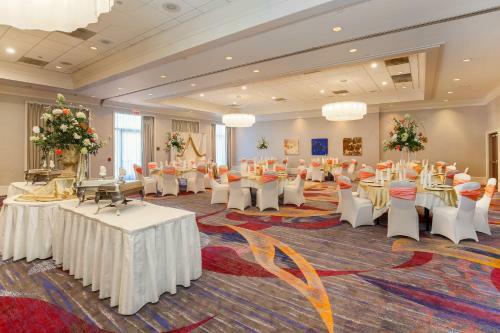 Offering a restaurant a seasonal outdoor pool and stylish non-smoking accommodations with free Wi-Fi the DoubleTree Hotel Atlanta Airport provides a comfortable oasis for our guests headed to the area. 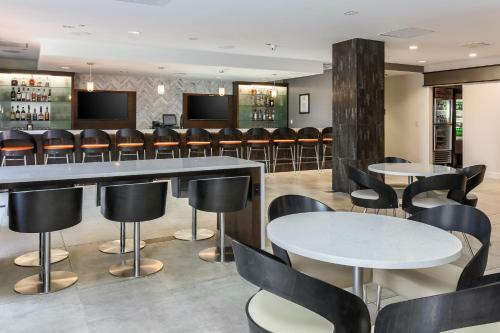 The seven-story DoubleTree Hotel Atlanta Airport is newly renovated features a contemporary lobby with a cozy tiled fireplace and cascading water wall. A few steps away guests can print important paperwork or check their email in the complimentary business center. An on-site bakery and grill serves traditional American favorites including a hearty daily breakfast buffet. 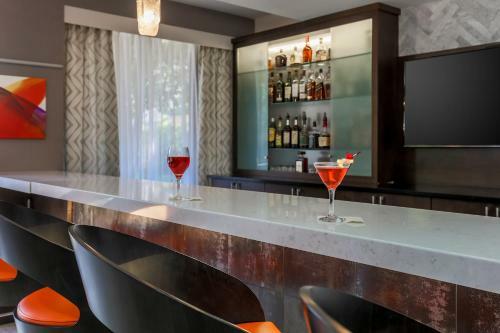 The adjacent cocktail lounge features widescreen flat-panel TVs for catching the day's game. Guests can maintain their fitness regimen in the hotel's spacious gym. 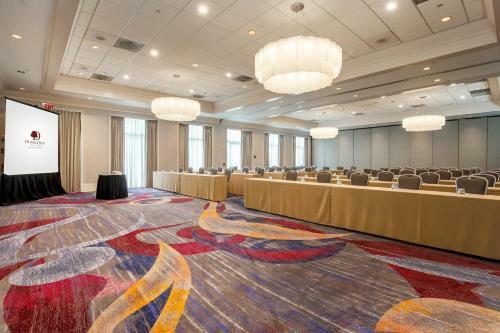 The Doubletree provides complimentary airport shuttle service and on-site parking for an additional fee. 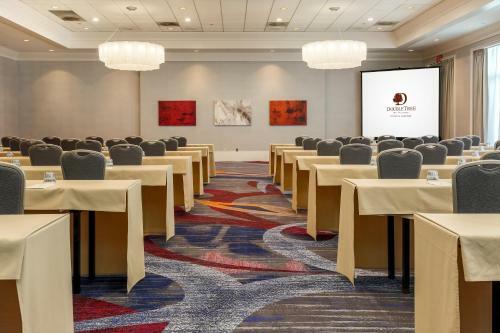 All 220 rooms are decorated with warm updated furnishings and fabrics and include signature bedding oversize desks with task lighting two dual-line telephones coffeemakers hairdryers and cable TVs with HBO. 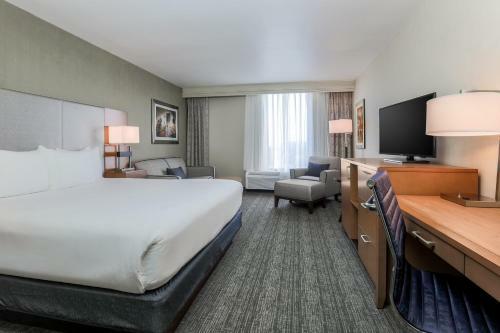 The DoubleTree is located one mile from Hartsfield Jackson International Airport and seven miles from downtown Atlanta which is conveniently accessible by MARTA public transit. 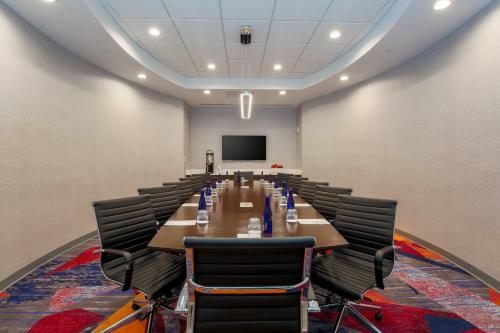 The hotel is less than one mile from Delta Airlines World Headquarters and it is less than five miles from the Fort McPherson Army Base and the offices of the Federal Aviation Administration. It's less than 15 minutes from the Georgia Dome and the Georgia Aquarium. 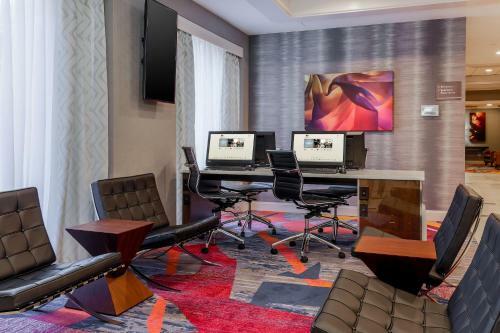 Add Doubletree Hotel Atlanta Airport to your free online travel itinerary.